Today marks the halfway point of National Novel Writing Month, which means a lot of checking in on word counts and progress reports. Maybe you’re way ahead of your goal or maybe you’re still looking at those first couple hundred words and wondering where to go next. Because we all have that moment when we’re writing like this. While the standard 50,000 words is the obvious one, look at what you want to accomplish this month. Do you want to reach 50K? Double that? Just make any kind of progress? Develop a new writing habit? Whatever your overall goal for the month is, you can break it down to make it easier and less stressful. Break your goal into a weekly or daily list of things that will help you make progress, and focus on those smaller goals instead of the looming 50K. Know your own writing pace—but don’t be afraid to challenge yourself! 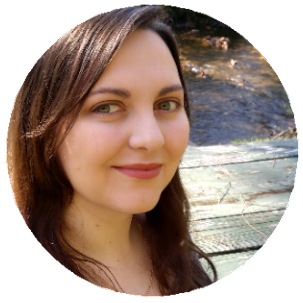 Part of the fun of NaNoWriMo is stepping out of your writing comfort zone and challenging yourself to work toward your goals. 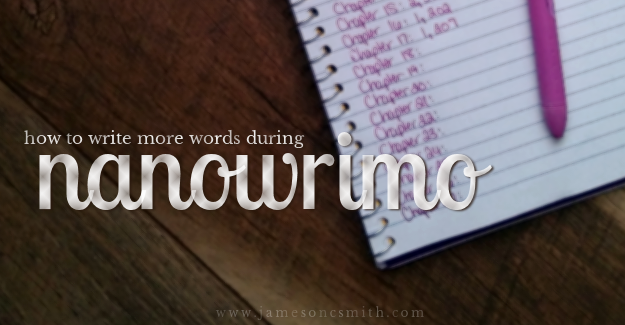 Try to write fifty or a hundred words more than you might usually write. If you can, spend an extra ten minutes writing. You might be surprised at the difference those little steps make! When possible, work during your best writing times. Usually, I would classify evening and nights as my best writing times. This month, though, I’ve found I accomplish most of my writing in the morning. I’ve been getting up earlier than usual a few times a week to work in an extra hour of writing. It’s kind of nice to have a portion of the day’s word quota done before the day begins! I try to work in smaller sections of time as well throughout the day, doing timed writing sessions and sprints when I can. How is NaNo going for you this month? Are you aiming for the 50K or a different goal? What’s your best tip for writing more during November?